We are an art brand, a gallery, a sub-culture, a music scene, a lifestyle. 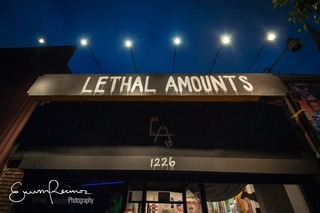 Home grown and operated in Los Angeles, Lethal Amounts focuses on the vast Los Angeles underground movement and DIY culture from past and present. 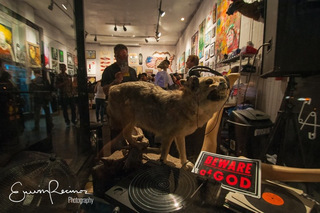 Our guerilla approach to business and art gives you an idea of where our heart is and a glimpse of what influences us. We admire those that came before us and honor those that make their mark today. 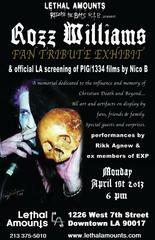 Our gallery shows and exhibits are like no other in this town focusing on punk ethos and against the stream ideas. Our apparel is designed and handmade here onsite at our headquarters. Gallery Hours are the same but special events and openings have varied times.